The Dakota! 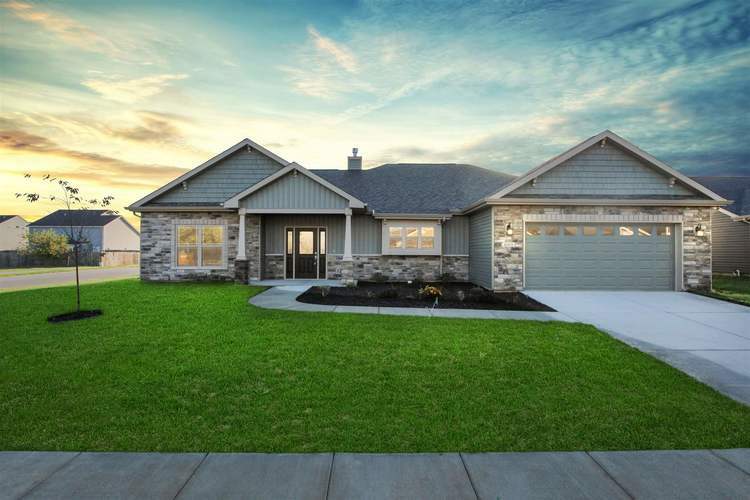 This Majestic Home features over 2000 sqft with screened in patio and covered porch! Additional features include batt and board exterior with stone, large kitchen island with granite counter tops, above and below cabinet lighting, staggered cabinets with crown molding, and ceramic tile flooring. The master features cathedral ceiling, large walk in closet and custom ceramic tile shower. HVAC will include 96% high efficiency Lennox furnace and A/C system with 13 seer heat pump. Directions:From hwy 52 turn north on Salisbury go approx 1.5 miles turn right into Auburn Meadows.